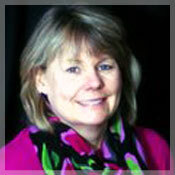 I have been Dr. Myers’ hygienist since 1988; and helped establish our practice here in Portland, Maine. It has been rewarding to see our practice grow over the years; with our quality of care never being compromised. I am dedicated to providing high quality and meticulous care to my patients and addressing each of their individual needs. Having been with Dr. Myers from day one, I have always admired the perfection of his work. 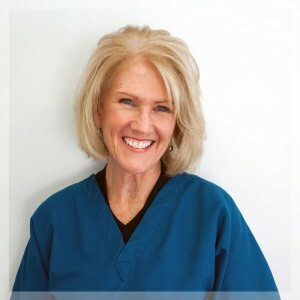 I have been a dental hygienist since 1978 and have an extremely satisfying career. I enjoy being as active as I can be – I love being outside during all of Maine’s seasons with my husband. From skiing downhill to cross-country, sailing out in Casco Bay to paddleboarding, or tending to my gardens, life is what you make of it – and I enjoy every minute of it. I have two wonderful accomplished daughters and two sons-in-law we adore spending time with. Meg loves to laugh and have fun, and make people feel comfortable and at ease when they are in her chair – because let’s face it “going to the dentist is not usually the highlight of someone’s day”. I am dedicated to providing the highest level of care for my patients. I obtained my Local Anesthesia license to help with patient comfort for advanced periodontally involved cases. The part I enjoy most is building lifelong relationships with our patients and helping them gain the confidence that comes from a healthy smile. My husband and I have known each other since elementary school and have two Labs (Bruno and Gunner) who are practically considered our children. When I am not cleaning teeth, I enjoy quilting, painting and boating out on the lakes. Dr. Myers, as well as the entire staff, make every effort to have everyone feel at ease. I am truly blessed to have joined such an amazing team and dental family five years ago. I look forward to meeting you. I have been a chairside assistant of Dr. Myers for almost fifteen years. I have a wide range of duties from ordering supplies to hands on dentistry and everything in between. The best part of my job is of course the patients. Even though the procedures can be the same, the patients make it very fun and interesting. I learn a lot from our patients and take to heart their fears and worries. 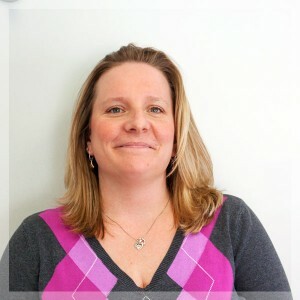 Our patients like the fact that Dr. Myers spends a lot of time explaining what needs to be done and the possible consequences if it isn’t done and how it will affect the patients overall health. On a personal note, I have my amazing husband and two wonderful sons. We love to spend time as a family, traveling, you will probably see us out and about around the Portland area enjoying the local art functions and plays. Along with my co-workers, I am so grateful for the wonderful patients I have come to know and love here at our practice. All of us try our best to create a welcoming and calming atmosphere where our patients can feel confident and relaxed knowing the care they receive is top notch. Our patients like the fact that we are so thorough – starting with the initial phone call our patients understand what to expect from scheduling the appointment to the actual treatment being performed. Dr. Myers is very compassionate in explaining the treatment needed, listening to their concerns and taking the time to get to know our patients. In my off time, I am a dedicated soccer mom to my son. During the summer months, I enjoy taking my Harley Davidson for a ride around Sebago Lake, the White Mountains region of New Hampshire and the Greater Portland area. I am the newest addition to the dental team. I have been blessed to have had over ten years in the dental field as a hygienist and am enjoying learning how things are run in the front office versus out back in the operatory. Recently, I have been incorporating my love of dogs with my profession and have been working on getting my Veterinarian Technician License to allow me to help canines obtain clean teeth as well. 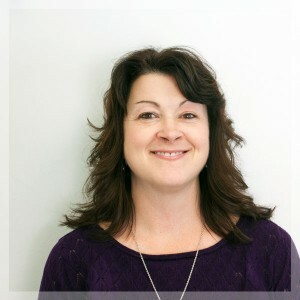 Additionally, I work alongside Stacey answering the phones, assist in scheduling patients, process records from patients’ previous dentists, and assist in checking out patients at the end of their appointments. I call when you are due for your next cleaning appointment if one has not yet been scheduled. I send the cards in the mail reminding you of your upcoming scheduled cleaning appointment. We understand how hectic life can be and it’s our small way to help you keep ahead of your busy schedule. My husband and I are parents to an enthusiastically active young lady who keeps our nights and weekends filled with activities. I enjoy baking and sharing them with my co-workers and family. We have a black lab, Ty, who is a full member of our family. Monday through Thursday 8:00 a.m. to 4:30 p.m.
© Kenneth E. Myers D.D.S.. General and Restorative Dentistry. Falmouth, ME 04105.